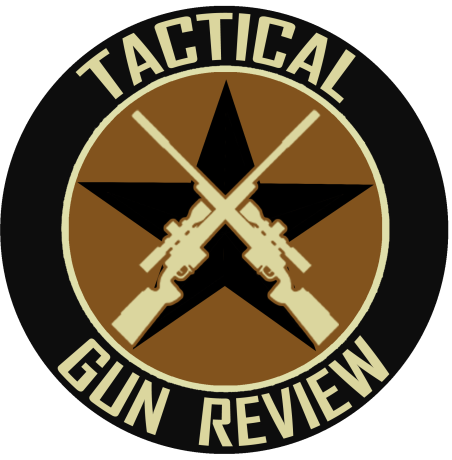 Tactical Gun Review asked Marty Robbins, Director – Marketing at BAYCO Products, how to evaluate and choose the right flashlight for a specific task. Marty was kind enough to provide the following information. First, we really need to know how different types of users see flashlights and how they “categorize” each as either all the same or the different levels of quality. Here’s a quick synopsis on what makes one manufacturer different than the others. However, not all LED’s are created equal. Without getting into the microscopic level of phosphorus coatings and LED makeup suffice me to say that “knock offs” produce a different light spectrum, a different luminosity, a different lifecycle, than the super high quality of the CREE LED. By specifying CREE as our LED supplier we ensure that the Chinese knock offs are not used in our product ensuring that our customers will have the same light output from product to product. Furthermore, the light temperature, measured in thousands of degrees Kelvin, is consistent with the CREE LED’s but not with Chinese knock offs. We rely our our lights to be in the 6500 to 6700 degree Kelvin range which produces a bright white light. Now if you just put an LED on a circuit board you get a wide angle of light flooding the area, thus the name floodlight which brings us into the next area of performance, beam pattern. Beam Distance: The tighter the beam pattern the further the beam distance so a highly engineered reflector will ensure; 1. Correct color, 2. Desired beam pattern, and 3. Desired beam distance. Therefore, the Reflector design is an extremely critical component in a great flashlight. A Chinese knock off will not put any thought into the design of the reflector to ensure the three components listed. One of those components is our next performance rating, or at least it is directly proportional to it – Desired Beam Pattern or what is measured, Peak Beam Intensity. Peak Beam Intensity: This is the maximum luminosity typically along the central axis of a cone of light. It measures the brightest part of the beam in the units of Candela. A great flashlight company will have the reflector designed to produce the perfect beam which is usually made up of the center “punch” or the high brightness of the pattern, and the corona or the flood area of the pattern. Chinese knock offs don’t do well in this area. Run Time: A great design will have a circuit well thought out with or without a microprocessor depending if it is multiple function or not. On/Off flashlights do not need a microprocessor. The design of the circuit may have highly engineered architecture using things like filters, boost converters, and the like to produce the desired runtime. We have engineered our products such that the run time is longer than our competitors (almost double) but also has a very unique feature, the Lumens will drop down to some small but usable output and stay that way for 15 minutes. This is CRITICAL for law enforcement because what they CAN’T have is the light just to go dead (like our major competitor’s does). All Chinese knock offs do not have this enhanced feature. Drop Rating(or Impact Resistance): How far the flashlight was able to withstand 6 drops onto an oak floor without damaging it to an unusable state. Water Resistance This tells the consumer what weather the flashlight will withstand usually if it is Waterproof, Weatherproof, or Rain Resistant. We attempt to make all our flashlight waterproof which is to be in 1 meter of water for 30 minutes and not leak. 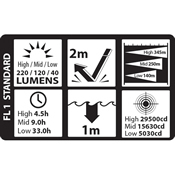 This gives just an overview of the standards that a great flashlight company will report. If the company doesn’t report these then stay away. If they do, then do your comparison to find the best flashlight for the money. BAYCO Products produces the NightStick brand of lights.